Solar creates jobs. As more solar is installed by homeowners and utilities alike, new jobs are being created across the country. The solar industry now employs more than 250,000 people nationwide and is adding jobs far faster than the overall economy. Take a deeper dive into local job creation using The Solar Foundation’s Solar Job Census. The map displays solar job figures on both the state and county level. See how many solar jobs are in your community! The Solar Foundation has compiled a comprehensive census of the number of solar jobs throughout the country. 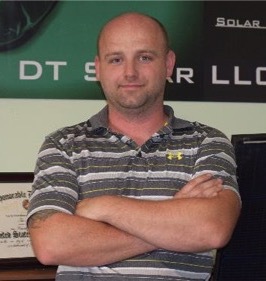 Doyle Tenney, owner of DT Solar, a West Virginia solar company that launched due to demand of West Virginia solar co-ops. I believe [Solar United Neighbors of West Virginia] plays a vital role in the growth of the solar industry in West Virginia. Their success is a success for my business, many other solar businesses, and the thousands of workers who are unemployed in this state. Solar United Neighbors is working hard promoting solar energy. Your gift supports projects that are making solar more affordable and accessible for everyone.